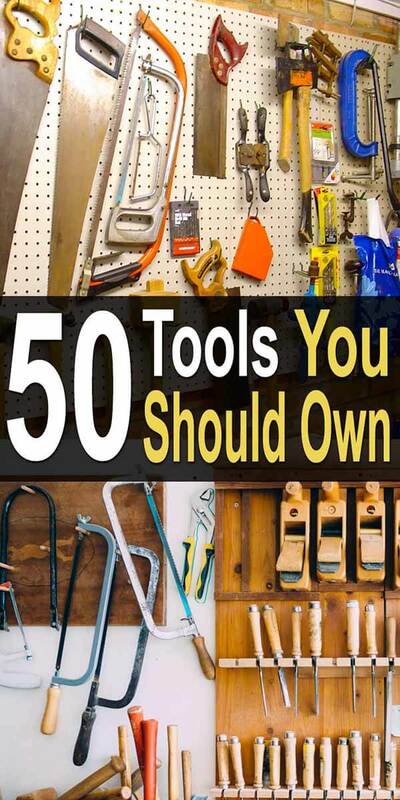 If you could only have 50 tools for the rest of your life, but you want to be able to build or repair just about anything, which 50 tools would you choose? In this series of videos, Wranglerstar answers that question. I really enjoyed this video series and wanted to share it, so below you can watch all five videos. I also listed the tools he mentions in the videos, but you’ll have to watch the videos to learn what the tools do and why he picked them. A couple things I need to point out: The list is in no particular order, and he miscounts a few times so it’s not exactly 50, but almost. Also, if you want links to the tools he mentions (so you can get the right type or brand), simply click on a video title in one of the first three video players below and it will take you to the video on Youtube. From there, look at the video description and you’ll see the links.